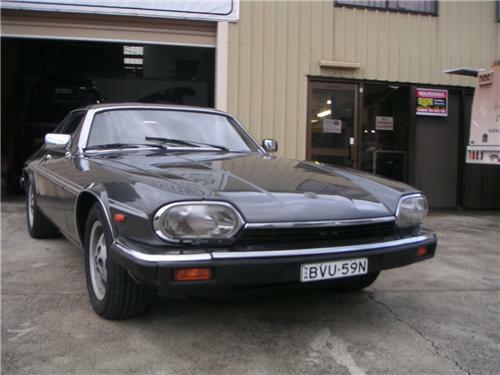 The vehicle is in very good condition overall, it still drives & feels very tight as an XJS should. Someone has spent a lot of money on it at some stage recently. There are a few small ripples on the body mainly the passenger side door & front guard (see photos) but overall is in very good condition. There is no rust appearing at all - have tried to show the normally bad areas in the photos. Is fully registered in NSW . Good tyres fitted to Factory mag wheels. NO Rust showing any where on the vehicle. Great looking vehicle & certainly looks much more value than the price we are asking. All the usual Jaguar features that you would expect such as Power steering, Remote Central Locking, Climate control Air Conditioning, Power windows, plus much more. Front seats are worn under the sheepskin covers. These unique vehicles drive superbly as a normal everday cars or if want some excitement then when you put your right foot down, get ready for a ride of your life. These vehicles were the Supercars of their day & once you have driven one, it is understandable as to why they won so many races, including Bathurst in 1985. This vehicle cost approximately $120,000 AUD new and therefore represents unbelievable value for money at this price. Basically speaking...You get a lot of car for this price. All purchasers are encouraged to make their own inspections. If you need any further details or want to make an appointment to inspect please contact me on (0419)213770.